The 2019 5 Play Show Only Season Ticket package includes 5 of your favorite Good Company Players’ Shows at Roger Rocka's. Mini Season package includes 3 Good Company Players’ Dinner-Shows of your choice at Roger Rocka’s – buffet on Thursday, Sunday Matinée or Sunday Evening – or table service on Friday and Saturday Evenings. 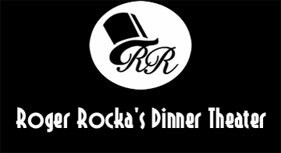 Dinner-Shows of your choice at Roger Rocka’s Dinner Theater plus 3 shows of your choice at GCP’s 2nd Space Theatre. Purchase the fantastic shows to the 2019 Good Company Players' 2nd Space Theatre Season. Select the quantity of Dinner & Show tickets or Show Only tickets you would like to purchase. The small lot next to the theater usually fills up quickly.